​Arsenal boss Unai Emery has lauded his opposite number Carlo Ancelotti as a 'top' manager in world football, as his side prepare to take on Napoli in their Europa League quarter final first leg on Thursday. 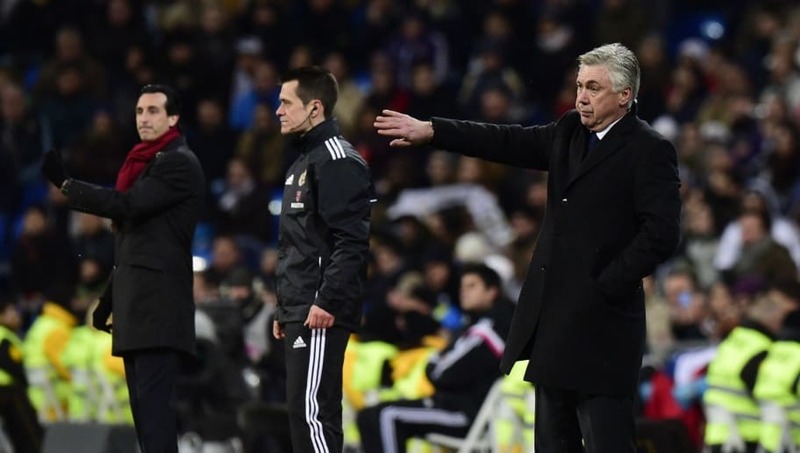 Emery has previous experience facing up against Ancelotti when he was at PSG and his opposite number was at Real Madrid. And, speaking ahead of the two sides' quarter final tie, as quoted by the ​Daily Star, the Spaniard proclaimed: "I have a great respect for every coach. Ancelotti is top. His career is amazing. For me my challenge is every day and every year. All I did in my past is only for taking experience. And, when asked on his team's chances going into the two-legged affair, Emery coyly replied: "I think it’s 50-50. Napoli have a big history like us, they’re second in the table. They’re playing very well, they came from a strong group in the Champions League. As for Ancelotti, who was last seen at the Emirates steering his Bayern Munich side to a crushing 5-1 win in 2017, he was equally complimentary of Emery's work. As quoted by the ​Metro, he explained: "Unai Emery is, in my opinion, a fantastic manager with a lot of knowledge. "He has experience of this kind of game and the fact he is on the bench of ​Arsenal will be more difficult for us."